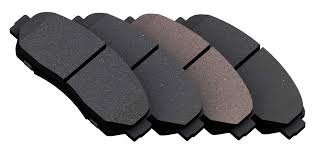 Brake pads are one of the primary and most known components of the braking system of your car. They are one of the least expensive parts to have changed and a super important for your safety. To keep your brake pads lasting longer below are six factors that can make an impact on how long your pads will last. While each one of these will work on any vehicle, you get what you pay for. The least expensive options are metallic and semi metallic. With the advances in brakes and difference in cost, metallic brakes have become almost obsolete. For the longest lasting option on the market, ceramic is the best choice. If you are a ride the break type of driver, you will obviously notice that you have to replace brake pads much more frequently. One of the best practices you can do is coast and maintain a distance. Coasting will allow you to maintain speed, which is nice for MPG’s, but it will also help with the longevity of your brakes. 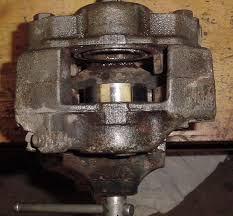 If a caliper is stuck, a brake pad will constantly be rubbing the rotor. It will in turn run down a brake pad very quickly. It can also affect the rotors as well. If you are having a burning smell coming from your brakes, it is entirely possible that a stuck caliper is causing a problem, and will end up needing replacement as well as brake pad replacements. This issue will keep occurring if the caliper problem is not corrected. Manual drivers will drive much differently than those who have an automatic. This is in large part due to being able to downshift to slow a vehicle. This is called engine braking. Automatics don’t have this same luxury and require using the brakes any time they need to slow down or stop. In general, if a person is a good at driving a manual, they potentially can see brake pads last much longer than that of an automatic vehicle. As fascinating as it may be to just put new brake pads on when they need to be changed. If you are told that your rotors need a replacement, it is an expense you should have done. A warped or worn out rotor can wear down brake pads quickly. So while you think you are saving money just replacing the pads, it will cost you more, because the brake pads are going to need to be changed much sooner. 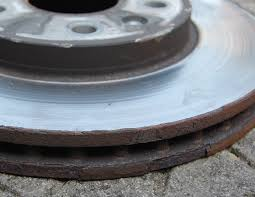 In addition to brake pad wear, a warped or worn rotor can also affect your stopping ability. Often when people are driving along, the person in front of them will apply their brake. For some reason or another, an instant thought of having to use the brake hits. Even if it is not necessary to do so, some people’s reaction is just to do what the person ahead of them does. Instead, as you are driving, maintain a healthy distance between you and the car in front, and only brake when you need to, and not just because you are following the leader. One of the least thought of things that can affect your brake pads is the brake fluid. To help your pads last longer, it is a very good idea to have your brake fluid bled and flushed. Especially if you have an older vehicle, it can help with keeping the components of your braking system healthy.